With bad weather in key European growing regions at the start of 2017, supermarket shoppers are finding their purchases of fresh vegetables hit by serious shortages and substantial price rises. Courgettes, lettuce, spinach, broccoli and aubergines are amongst the items in short supply, leading to empty shelves and even rationing of items at some supermarket chains. However, shoppers at Truro Farmers Market face no such shortage; the choice, quality and quantity of locally grown vegetables is better than ever – encouraging more people than ever to visit the market for their weekly shop. Local grower Meadowside Nursery, a family enterprise presided over by Anne, Brian and Ralph Pengelly, has an abundance of freshly-picked cauliflower, broccoli, cabbage, swede, carrots, parsnips, purple and white sprouting broccoli for sale. This quality produce is being quickly snapped up by queues of eager shoppers, looking for their five-a-day fix. With a huge cauliflower costing just 75p, grown just a few miles away and picked no more than 24 hours before, it’s easy to see why visitors to the market are impressed. Meadowside Nursery can be found at market every Wednesday and Saturday, when the green and white stripped stalls of the market occupy Lemon Quay, in the heart of the city, 9am – 4pm. There is also a market in Falmouth every Tuesday on The Moor, 9am – 2pm. 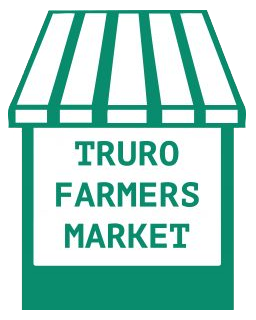 A huge variety of local produce can be found at both Truro and Falmouth markets, including ethically-reared meats, freshly-caught seafood, homemade breads and cakes, fresh-cut flowers, award-winning cheeses and popular Cornish beers, wines and spirits.